Welcome to the January 2019 edition of the eEngineering.com Newsletter. Our newsletter is designed to provide our customers with the latest two-way radio, wireless communications, and security solutions news. Trouble viewing the newsletter, see it here. 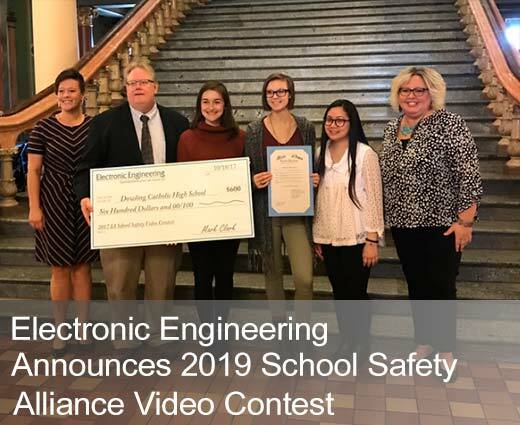 The Iowa School Safety Alliance’s (ISSA) has recently announced the Safety Alliance’s 2019 video contest. The top three winners will receive cash prizes for their school. “As we continue to work with school administrators on their plans for emergency communications and day-to-day operations, radio systems have proven to be a great method to ensure school administrators, classroom teachers, bus drivers and maintenance staff all have a unified way to communicate with each other and local public safety organizations,” Clark added. The contest submissions are due Thursday, February 28, 2019, and winners will be announced before the end of the school year. For more information, contact Anne Roth at aroth@eengineering.com or click the button below. Genetec, a leader in IP video surveillance, access control and license plate recognition, outlines the security trends for 2019. Electronic Engineering is a proud provider of Genetec’s solutions. 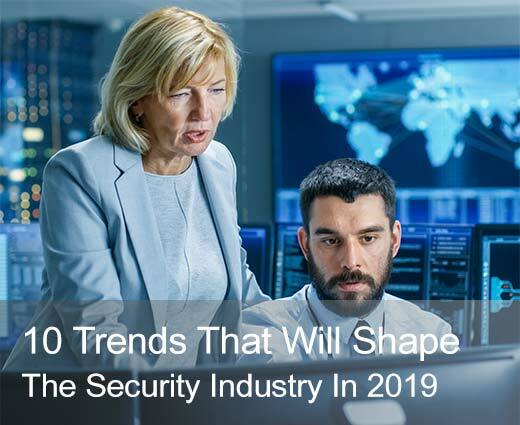 Their predictions include cybersecurity strategies, utilizing access control for identity management and enhancing security for smart cities. When you make the move to digital two-way radios, you gain greater efficiency, improved audio quality, enhanced clarity and more. 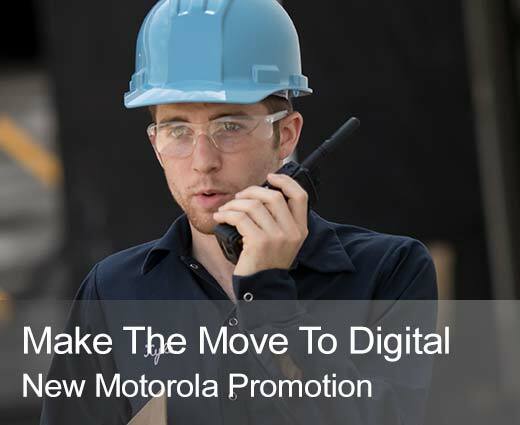 From January 1 through March 31, 2019, you can save when you migrate to digital by taking advantage of trade-in discounts on the MOTOTRBO™ XPR 7000e Series, the XPR 7000e IS Series and the SL7000e Series, along with the CP200d and EVX-261 Series radios, and special financing. With high-performance integrated voice and data and advanced features, the XPR 7000e, and the SL 7000e Series radios deliver complete connectivity. You can save $2,500 when you purchase 20 MOTOTRBO XPR 7000e Series or SL 7000e Series radios and trade in 20 eligible units. Perfect for the everyday user that wants to stay connected, the CP200d Series radios provide a simple, reliable and cost-effective communications solution to help work crews coordinate and collaborate to get the job done right. You can save $525 when you purchase 15 CP200d Series radios and trade in 15 eligible units. You can migrate to digital easily and affordably with the EVX-261 Series radios. These radios operate in both analog and digital modes, making them ideal for mixed fleets. You can save $100 when you purchase 10 EVX-261 Series radios and trade in 10 eligible units. You can take advantage of special offers of 0% financing for 12 months or 6.67% financing for 60 months. *Terms & conditions apply, select models only. Motorola Solutions is enhancing the MOTOTRBO platform with new service packages that include access to software updates, premium software features and extended hardware repair services. 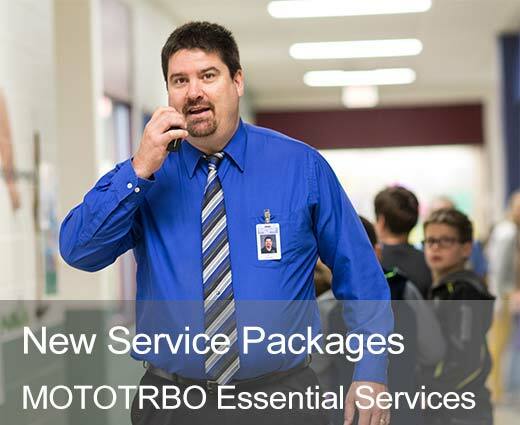 Your business’ security and technology needs are rapidly evolving, and we want to make sure you have a world-class experience each and every time you use your MOTOTRBO products. We will work closely with you to help you understand the value of this new, exciting program. Please do not hesitate to reach out to your dealer with any questions. 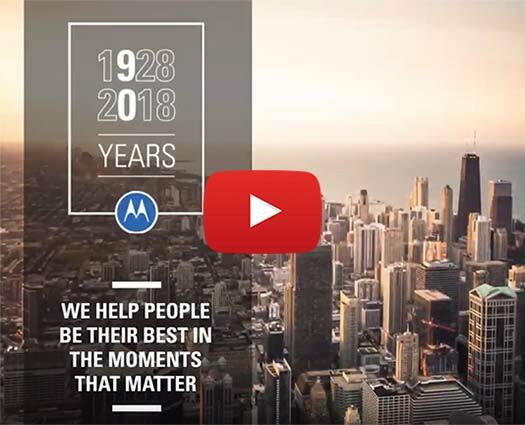 During 2018, Motorola Solutions celebrated its 90-year history of innovations and technology milestones. Throughout our history, we’ve delivered the essential lines of communication to ensure first responders and businesses around the world work safely and efficiently. As we look ahead to our next 90 years, we’ll continue to create the future of mission-critical communications, video surveillance and analytics, services and software. If you would no longer like to receive this newsletter, please click here to unsubscribe. ©2019, eEngineering (Electronic Engineering Co.) All rights reserved. Reproduction of material from eEngineering / OIW without written permission is strictly prohibited.